Anyone who wants to sell, expose or offer for sale any article in a street, must have a licence or consent. 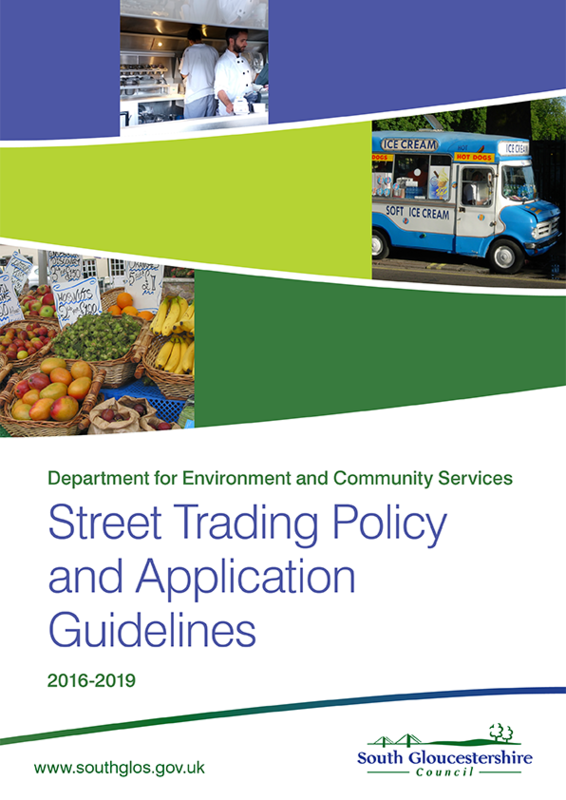 This policy has been developed to assist persons applying for Street Trading Consent in South Gloucestershire. You must get consent to trade in areas that are open to the general public like car parks, parks and other open spaces. Street trading is the selling of or offering to sell things in the street. It includes food like burgers, kebabs and doughnuts as well as other things like jewellery, face-painting, hair-braiding etc. If you want to trade you must get consent to do so. You will need to complete an application form and bring it with the relevant documentation to our office. This is by appointment only. You can contact us to request a form or else they are available to download via the Street Trading Policy. If any objections are received, the application will be referred to a Council Licensing Sub Committee. Otherwise, we will issue you with a consent. We have a list of associated fees.